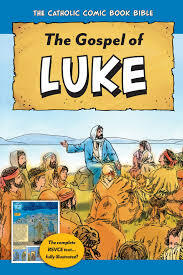 The Book of Luke is the third gospel in the New Testament and recounts the life and teachings of Jesus Christ. The gospel begins with Luke’s account of the birth of John the Baptist, who was to prepare the way for the birth of the Savior. The author next discusses the birth and early years of Jesus Christ, including His desire to gain wisdom from the priests in the temple as an adolescent, His baptism as a young man of 30, and His later temptation in the desert by the devil. Luke includes an extensive genealogy of Jesus from Joseph His father and dating back to Adam, the first human. The book of Luke concludes with the betrayal by Judas, the Last Supper, the arrest and crucifixion under Pontius Pilate, and Jesus’ triumphant resurrection from the dead and ascension into heaven. Luke devotes a significant portion of the book to the teachings and miracles of Jesus. Jesus performed many miracles, including healing a man with leprosy, healing a paralytic, driving out demons from a possessed man, and raising the son of a widow from the dead back to life. In addition to miracles, Jesus spent a notable portion of his life teaching his apostles and others through parables, or short stories that convey morals. In the parable of the Good Samaritan, Jesus taught others to show mercy on their neighbors. In the parable of the lost, or prodigal, son, Jesus conveyed the joy that God has when His followers return to him after being “lost”. It is through these parables of Jesus Christ and the retelling of Jesus’ birth, life, and death that Luke paints a vivid picture of Jesus’ wisdom, mercy, and love for mankind. Matthew - The Book of Matthew contains a substantial amount of the scriptural basis for the Christian religion. Apostle Paul research papers discuss his life and role in the Christian Church. Timothy - The New Testament Book of Timothy, divided into two parts, is a series of two letters from Apostle Paul to Timothy from Macedonia that was written between 62 and 63 A.D. during one of Paul’s imprisonments. Original Sin - Original Sin Research Papers delve into the Catholic definition of this term, and how it effects all the descendent's of Adam and Eve. Philistines - The Philistines are one of the most widely despised groups in human history, their very name synonymous with the boorish and uncouth. Paper Masters writes custom research papers on The Books of Luke, The third gospel in the New Testament that recounts the life and teachings of Jesus Christ.